Deal of the Day: There's a winter wonderland of holiday classics in Amazon's Gold Box special today! 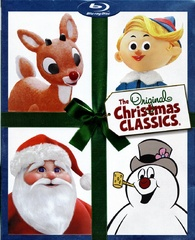 The online retailer is now selling 'Christmas Classics' for $19.49 (57% off suggested retail price). The Gold Box offer can be viewed here and will only last until midnight PST.